For 1974, a new rear bumper system replaced the squared tail and chrome rear bumper blades introduced in 1968 with a trim, tapering urethane cover carrying an integral license plate holder and recesses for the trademark round taillights. Underneath sat a box-section aluminum impact bar on two Omark-bolt slider brackets similar to the system used in the nose which allowed the Corvette to pass federal five-mph impact tests at the rear as well as the front. The new rear design was quite beautiful, and more up-to-date than the 60's shape that it replaced with the vast majority of enthusiasts embracing the new design. For the 1974 model only, casting limitations mandated left and right bumper covers with a vertical center seam. The anti-theft alarm key activator was moved from the rear panel to the front left fender. Tailpipes were now turned down as the new bumper cover eliminated the tailpipe extensions. 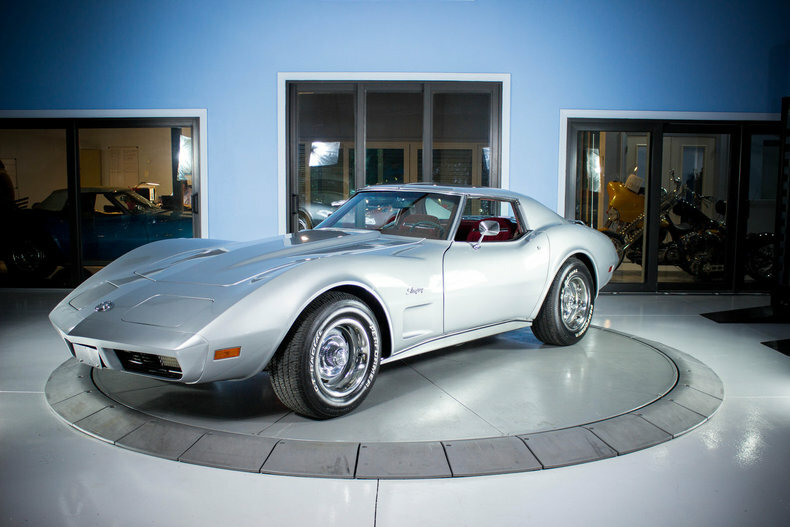 A 1974 Stingray equipped with the L48 195 hp small-block was capable of 0-60 in 6.8 seconds; comparable to the 6.5 second time of the 1968 small-block rated at 300 hp; proof the 1972-74 Corvette engines had ample power regardless of reduced horsepower and net (bhp) ratings. Hi-Performance Cars magazine in a L48, L82, and LS4 comparison test, September 1973, said: "Our choice for the all-around best performer must go to the base 350 L48 engine...The L48 delivers all the acceleration you'll ever need on the road in a steady, forceful manner...in addition it runs cool, idles smoothly, and can cruise all day at 100 mph. The L48 took 6.8 seconds to reach 60 mph, the L82, 6.7 seconds and the LS4 454, 6.4 seconds. On the Bridgehampton road course and over the ride and handling course at Suffolk County Raceway, the base L48 coupe was again our choice...the L-82 had the same balance as the L48 but if we weren't at the right rpm through a corner, or in the wrong gear, the (L82's) lack of torque made itself felt once again...the L48 was the best balanced of the three." 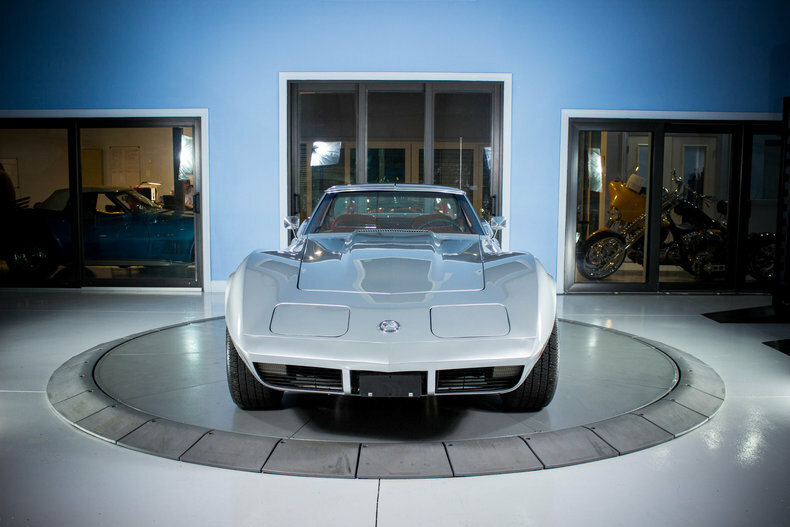 In conclusion, they stated: "The Corvette as a total concept has always been far more than the sum of its individual parts. The fanatical clientele that buys 30,000 of them a year can attest to that. And we'll attest to the fact that after 20 years, the Corvette is more than going strong. It's still the epitome of the American motoring experience." 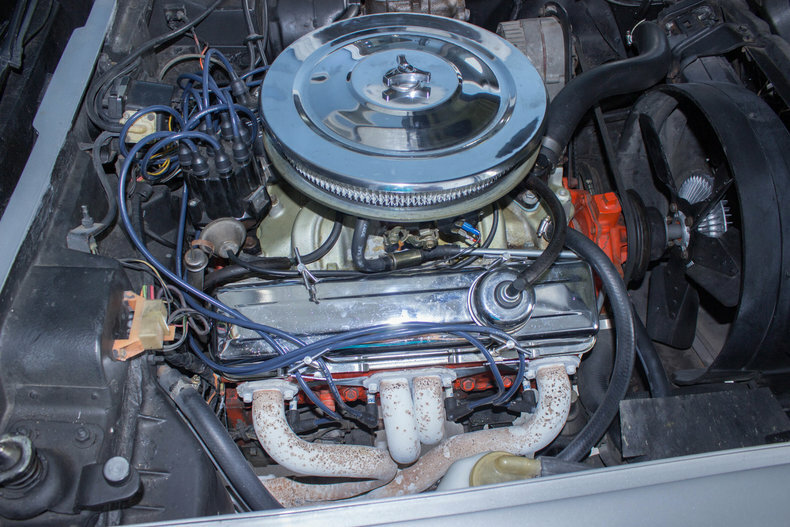 Resonators were added to the dual exhaust system on 1974 models which further helped quiet the interior. The radiator and shroud were revised for better low-speed cooling. The inside rear-view mirror width was increased from 8 inches to 10 inches. For the first time, lap and shoulder seat belts were integrated, but only in coupes. The FE7 Gymkhana "off-road" suspension included stiffer springs and a stiffer front stabilizer bar with no ordering restrictions. The new $7 FE7 suspension option was included with the Z07 package — The $400 package (also included H.D. power brakes) was available for L82 and LS4 cars with M21 transmission. 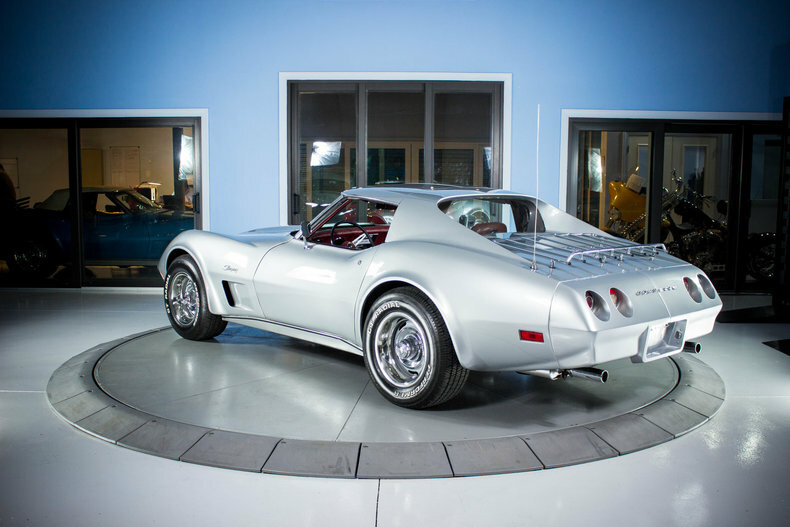 1974 was the end of an era for the Corvette with the last true dual exhaust systems, the last without a catalytic converter and the last use of the 454 cu in big block engine. Hot Rod magazine in its March 1986 issue selected the 1973-74 Corvette LS4 454 as one of the "10 most collectable muscle cars" in the company of the 1968-70 Chevelle, 1970 'Cudas, and more.